Black cumin oil is one of the most revered medicinal seeds in history. Due to its extraordinary chemical composition, black cumin is considered exceptional and is the most powerful anticancer plant which our mother nature gave to us. The use of oil or seeds effects the whole organism, so it strengthens the immune system and helps detoxify the body through the digestive tract. It has a beneficial effect on the respiratory, digestive and urinary system, as well as the already mentioned – immune system, and even improves circulation. Below read more about the health benefits of black cumin oil and how we can use it in the best possible way for our health. Nigella sativa is the Latin name for the black cumin, this is an annual plant that belongs to the famous family of Ranunculaceae. It is known for its own fruit - exceptional black seeds which can now more or less be to found in any health food stores. Black cumin is one of the most popular herbs in the history of medicine since the time of immemorial. In ancient Egypt it was used against severe colds, headaches, various infections, prolonged toothache, and to improve digestion. Beneficial black seed was found in the tomb of Pharaoh Tutankhamen. Testing of the plant started before the sixties, and many world prestigious universities confirmed incredible therapeutic qualities that black cumin oil has. Because of its rich chemical composition - the plant is comprised of over one hundred active ingredients, so black cumin is very healthy. The vast majority of the aforementioned ingredients are not known to science, nor are examined until the end. Research is still continuing, and the aforementioned rich composition of black cumin is more and more surprising doctors. The ingredients are primarily amino acids, fatty acids, valuable minerals and unique digestive enzymes, such as thiamine, iron, folacin, copper, zinc, and many others. Black cumin oil as a medicine produces excellent results in relieving allergies and asthma, because it has properties of antihistamines (reducing and eliminating the consequences of histamine, which is produced due to an allergic reaction). Treating persistent bronchitis, chronic cough, stomach ailments and acne, psoriasis, eczema on the hands and other forms of dermatitis. Black cumin is a natural antibiotic, and using it will not have any consequences. In addition to making your body stronger and more stable, it helps with colds and infections. Its beneficial effect stimulate and maintain healthy micro flora in the stomach and intestines and stimulates the liver and kidneys. It is used to combat fungal diseases such as persistent candida. It is taken orally and locally. Thanks to the sterol and beta-strerol in black cumin oil are excellent in prevention of one type of cancer. Protects healthy cells and stimulates the production of natural interferon. Various studies conducted by American and Jordanian experts proved that the oil is anti-leumic. It is very effective in the treatment of rheumatism and other ailments. Dr. Hwyda Arafat with Jefferson University conducted several studies using black cumin oil in the treatment of pancreatic cancer. The results were astounding and 80 percent of tumour cancer cells were killed. Here is how to drink oil in the most severe diseases in the recipe of Doctor Arafat? Take one teaspoon of caraway oil with a bit of raw honey three times a day: one hour before breakfast, early in the afternoon and before bedtime. You can also use other variations of the same recipe. In the morning, take one teaspoon of cumin oil with half a teaspoon of honey about an hour before breakfast. In the afternoon, take, one spoon with fresh squeezed orange juice. In the evening, before bedtime, take one teaspoon of oil with half a teaspoon of honey. According to the experts black cumin and honey are a winning combination. In addition, it is important that you combine physical activity and diet for cancer, as well as to moderately expose yourself to sunlight per day. Of course, it is important to avoid stress because it was confirmed that it is one of the main drivers of most diseases, including cancer. Have you ever wondered what is a natural, effective and safe treatment for your hair? Have you dreamed about a lush, shiny hair you often see in advertisements? Oil of black cumin can help you to achieve just this. This seed has a myriad of health benefits, promotes hair growth and provides it with needed moisture. Black cumin oil is obtained exclusively by cold pressing, and should not be heated to temperatures exceeding 60-80 degrees, because then it loses all its natural healing properties. Cumin oil can help re-grow hair on scalp. Add the olive oil in relation 1: 1. Rub this into scalp and after half an hour, rinse with lukewarm water. To improve the health of hair add cumin oil to coconut oil in ratio 1: 2. Mix well and massage into the hair. Wash after 30 minutes, this treatment will make your hair shine help it grow faster. How to use it for skin care? People who consume black cumin for health often notice an unexpected effect on their skin, hair and nails are visibly healthier after just a few months of consumption. Cleopatra claims in old writings she also used black cumin oil because it is rich in essential fatty acids. They are essential because our body does not produce it. Cumin oil helps your skin to be youthful and radiant. Mix a quarter of tablespoon of black cumin with local honey. Rub the skin of the face and leave it on for about half an hour. Then rinse your face. You will get radiant skin. Clean your face with a mixture of black cumin and olive oil. After rubbing the skin, it will redden, but do not worry redness will go away. Keep the mask for about an hour and rinse with lukewarm water. Mix and apply heat on the stove for about two minutes: one cup of ground black cumin, half a cup of milled bark of pomegranate and half a cup of apple cider vinegar. Apply the required amount to the skin with acne, every night before going to sleep, as long as acne completely disappears. This mix can be saved up to 3 weeks in a cool place. People who have tried these recipes recommend them. Some of them know and add a few drops of oil in their favourite face cream because it helps prevents blemishes, age spots and makes the skin look younger, softer and more flexible. Also black cumin oil is excellent for the rough skin on elbows, hands, feet and knees. Take it 3 times a day, one teaspoon of black cumin oil. And you can make the mixture that is applied to the skin and it takes 50 ml of cumin oil, 30 ml of oil of evening primrose and 20 ml of wheat germ oil. Give a good mix to all of this and apply it to the skin before bedtime. Black cumin oil needs to be washed your face after half an hour with lukewarm water. Studies have shown that the beneficial black cumin oil does not work only in the service of beauty, but also increases the power of memory and perception. Regular intake, not only in chronic and acute disease conditions strengthens our organism as a whole. The recommended dosage depends on couple of factors, such as our age, and the overall health status of the person. There is not enough data to determine the correct application of this oil. You need to follow the instructions on product labels and consult your doctor or pharmacist (who are perfectly informed, not only about this product, but also about others as well). If the immune system is weakened, this is manifested by frequent feeling of weakness, infection and inflammation, weight loss, and consumption of cumin oil is recommended three times a day, thirty to forty drops. Black cumin oil can be taken with a little honey or agave syrup because it has a strong and intense taste. For prevention of influenza it is enough to take twenty drops two to three times per day after meals. Caraway oil should be used for at least 3 months in order to achieve a full function of the body. Certainly for children, the black cumin oil is taken orally, for a small amount of time and in recommended doses, with the obligatory consultation with the paediatricians. Black cumin seeds are safe for use during pregnancy, if you use them in the diet and in moderate doses. Consuming large quantities for medical usage is not safe because it can prevent or slow down contractions. There is not enough information on the use of cumin oil during breastfeeding, but our recommendation is definitely not expose yourself or your child at risk. The list of diseases and health problems that can be treated with oil is quite long here are just some of them. Diseased area is smeared with cumin oil. The best is to take black cumin oil 15 minutes before a meal (25 drops 2 times a day). Immediately after that, drink half a glass of water in which you dissolve one tablespoon of honey. One tablespoon of black cumin, one teaspoon of chamomile and a half a teaspoon of anise stir in a cup of warm water. Let it stand for about 15 minutes, and strain it, if desired, sweeten with honey and drink a couple of times a day. Take 25 drops three times a day in the period of four to six months, and then make a two-month break. Many people choose black cumin oil capsules. The recommended dose is one to two capsules daily. Half an hour before bedtime lubricate the eyelids and skin around the eye with oil of black cumin. It would be good in parallel with the therapy to drink fresh carrot juice with the addition of one teaspoon of black cumin oil. The results should be shown already after one month. Half a teaspoon of black cumin oil stir in warm water, then drizzle the oil on the aching tooth. This treatment effectively relieves toothache. Does black cumin oil cause side effects? They are very rare such as nausea and vomiting, and it is most often in people who are diagnosed with gastritis and problems with stomach. Then the required dose should be recommended by doctors and herbalists. In some people there is an increase in appetite, which does not correspond to all of you who are planning a diet. There are warnings for taking doses greater than 25 grams at once. A teaspoon contains about 4 to 5 grams of oil. For most problems it is the recommended dose of 3 teaspoons a day. Our recommendation is that you take black cumin oil on a full stomach as the best effect is achieved by using it an hour before a meal. You are free to mix it with juice, honey or yogurt. For children mixing it with honey is probably the most practical way, because it improves the taste. If you have a good quality blender, you can make a variety of meals with fruits and vegetables and add one teaspoon of black cumin oil. If you use the seed as a dietary supplement, you should know that there are absolutely no side effects. There are numerous testimonies and positive user experiences about this treatment, many Internet portals just write about it. After three months of using this effective natural product all the users felt like reborn. Today they feel fulfilled and excellent, and they cannot remember the last time they had a cold. Clack cumin oil helped them forget their health problems they had in the past. Here is another great example of how this plant helps in practice and as a spice that assists with weight loss. Positive effects of cumin on health have been known for a long time, but researchers at an Iranian university have confirmed that by taking half a teaspoon of this spice you may affect the metabolism of fats and literally encourage it’s burning. In the research there were 88 women involved with increased body mass, which were divided into two groups, and their task was that for three months reduce the daily calorie intake by 500. One group in addition to a prescribed menu drunk black cumin oil in droplets or took three grams of seasoning (a little more than half a teaspoon) melted in yogurt. Controlled measurement of body weight after completion of the study showed that due to reduced calorie intake all subjects lost weight: using "cumin diet" subjects lost about six pounds, and those who did not use this spice lost less. However, the right measure of the use of cumin in the diet is shown by the fact that women who ate it daily had 14.64 percent less body fat than those who did not consume it. Blood tests showed that all subjects had decreased triglycerides - in the control group by five units, and in "cumin" by as much as 23 units. The differences in the levels of bad cholesterol were more evident - 10: 0.5 for black cumin. 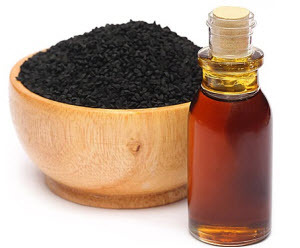 Where to buy black cumin oil and what is the price? Cumin oil can be bought in any better stocked pharmacy at very different prices. Of course the oil is not the same, before buying it, it would be good to check with your dealer, or via the Internet. The organic is the best and be extra vigilant about everything. As we always advise, always order certified and verified products because the price is certainly not small, if the product says Nigella Sativa 100%, make sure that it comes to an organic product, which is more expensive, at least 25 percent more. The price for the black cumin oil is over 19 dollars for 250 ml vial, and the default is to have the more expensive one, depending on the manufacturer. If you plan to use black cumin as a spice you cannot go wrong. The main ingredients of this magical effect are phytosterols, plant chemicals that inhibit the absorption of cholesterol in the body. In short, these substances stimulate circulation, accelerate metabolism and warm the body, and in response to such a situation, our body better and faster burns fat, reduces the risk of cardiovascular diseases and temporarily stimulates the immune system. The advantage of using "fiery spice" is that it is easily available, and can be used in the preparation of various dishes, as well with pumpkin, carrots, zucchini, and cauliflower. It is particularly effective is black cumin oil that we wrote about in this text, which is readily recommended by many herbalists.